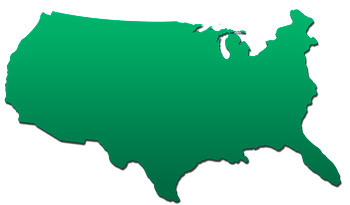 From California to Connecticut, Pace Financial Group has assisted business owners and financial advisors across the country. George Cassiere and Tom Schroeder founded Pace in 2002 and collectively have over 50 years of proven transactional experience. Pace has advised on separate buy-outs and transactions in over 20 states across the U.S.
Pace has experience in assisting shareholders in strategic purchases, such as when Pace represented a minority shareholder of a California company in an all cash $65 million transaction. Pace coordinated several senior credit facility investigations. Examples include the placement of a multi-million dollar facility for a central Florida distributor and an multi-million dollar term loan for an Indiana manufacturer to support a sale of equity to an ESOP. Pace and its principals routinely support intergenerational estate plans with business valuations. For example, Pace supported a combined strategy for a Nevada client incorporating an intentionally defective trust. Pace principal, George Cassiere, is also currently serving as a litigation expert in lost profits case and has significant witness experience.